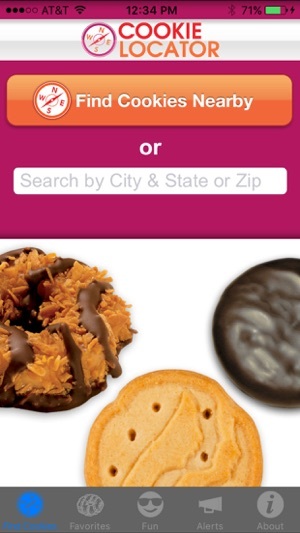 Your favorite Girl Scout Cookies® are just an app away! The free Cookie Locator lets you find cookies on sale close to you. 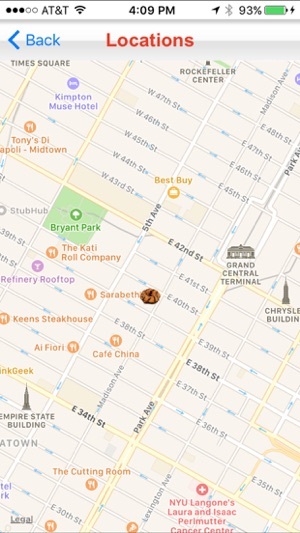 Use your phone's GPS location to find cookies nearby, or find cookies by ZIP code, city, or state. 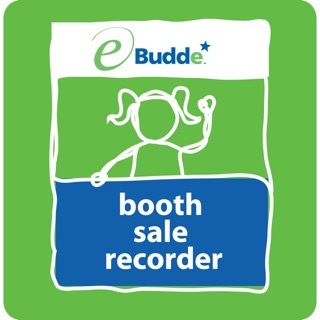 You can map your way to a cookie booth or share results with friends. Add the sale details automatically to your calendar so you remember to stop by and stock up on your favorites. Girl Scout Cookie® Sales happen in the fall and in the spring, depending on your area. A fun countdown clock tells you when the sales start for you. 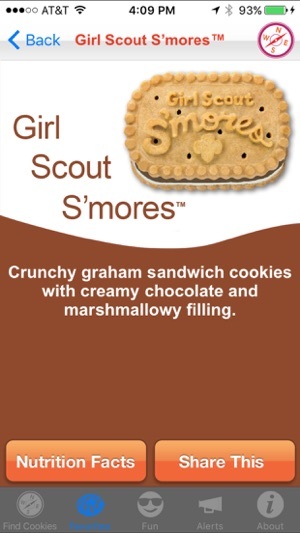 The next best thing to eating Girl Scout Cookies is having fun with them! 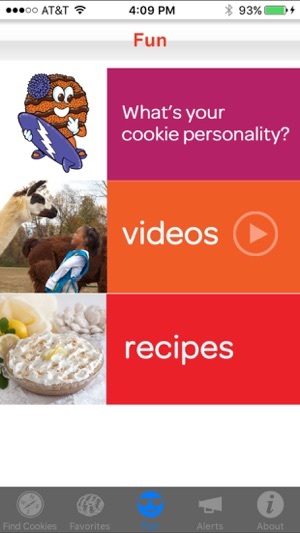 Use Cookie Locator to discover your Cookie Personality. Touch your favorite cookie, and you'll learn why it's a taste you crave. 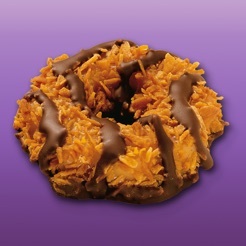 Love Samoas? Maybe it's because you're "brainy, complex, and mysterious." Share your Cookie Personality and more with your friends on Twitter, and email. Check in to a sale with Foursquare. Remember to sign up for email or phone alerts so you always know when Girl Scout Cookies are on sale near you. Tried to find a cookie booth this morning. 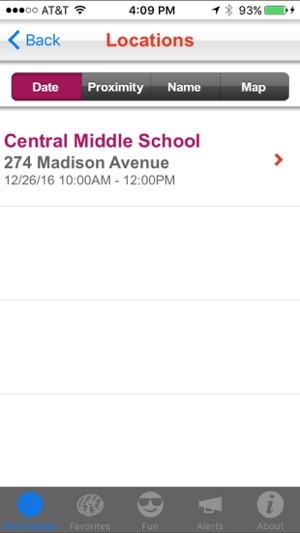 App listed three locations near me that should have been staffed at that time but no cookie booth at any of them. Wasted 1/2 hour + driving around. Needed specific cookies to send back with my college student on airplane (in addition to the many boxes I ordered from neighbors) or waiting wouldn't have been a big deal. Works great! Cookies in the go! So easy to find the cookie sales near me. Stopped at a grocery store on my way home and bought my cookies for the year! Yay Girl Scouts! 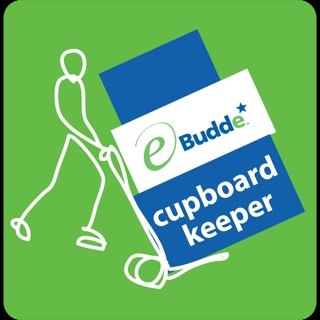 Need an option to locate the closest cookie even if they are within anothe council area. I prefer Little Brownies recipes and will go a good distance to get them.